Ransomware attacks have been making international headlines, and St. Louis cyber security threats are all too real. See how one local business survived a ransomware attack with the help of proper IT support. In late June, malware struck companies in the U.S., Europe, and the Middle East. This massive attack, a variant of the Petya family of ransomware, infected thousands of systems. This was on the heels of the largest global ransomware attack in history, WannaCry, the consequences of which are still being tallied months later. In a ransomware attack, cyber criminals infect a computer or network with malware that encrypts data, rendering it unusable. They claim they will decrypt the data in exchange for a ransom, which is usually requested in the form of bitcoin. However, there is no guarantee that the data will be returned. In light of these recent crimes and a spike in cyber attacks worldwide, ransomware protection is a hot topic. The International Police Organization (INTERPOL) recently held its annual security conference, INTERPOL World, which brings together law enforcement, security professionals, and technology providers. On the agenda was the mounting volume of cyber threats and the heightened importance of cyber security. St. Louis businesses need to tune in, too. Ransomware defenses, and other cyber security concerns, are as much local issues as they are international ones. Earlier this year, a small business in the greater St. Louis area* experienced the severity of cyber security threats firsthand when ransomware infected its communications server. Luckily, when it was detected, the ransomware was confined to that device. The business’s IT support vendor detached the machine from the network, scanned it to remove the threat and returned it to the infrastructure after believing all instances of the threat had been identified and eradicated. It had not! This time the ransomware spread throughout the network and locked up business-critical data on the primary fileserver. Because the company did not have a backup system in place, the IT vendor said it was unable to retrieve any data and suggested the only option was to pay the ransom. The business owner was in a total panic at that point because every piece of client data for the entire business had been rendered unusable. The ransom was expensive. He knew that even if he paid it, he still risked receiving partial data, damaged data, or nothing at all. From an ethical standpoint, it felt like the wrong thing to do. Law enforcement recommends people not to pay the ransom as it encourages subsequent attacks. The business owner wanted a second opinion. With a quick Google search, he found Anderson Technologies, a local St. Louis cyber security firm. He called and shared his story. Mark Anderson and his team agreed to do their best to help. Luke Bragg, senior system administrator at Anderson Technologies, went onsite, assessed the situation, and conducted a deep inspection. He discovered the ransomware had infected most of the drive but upon further investigation identified previously hidden copies of company data that were untouched. After successfully removing the ransomware Luke recovered every single file. The ransomware recovery process took two days, but in the end the Anderson Technologies team retrieved all the company’s data, onboarded it to its managed IT services program, put new cyber security preventative measures in place, and implemented a reliable approach to backing up all the company’s files. 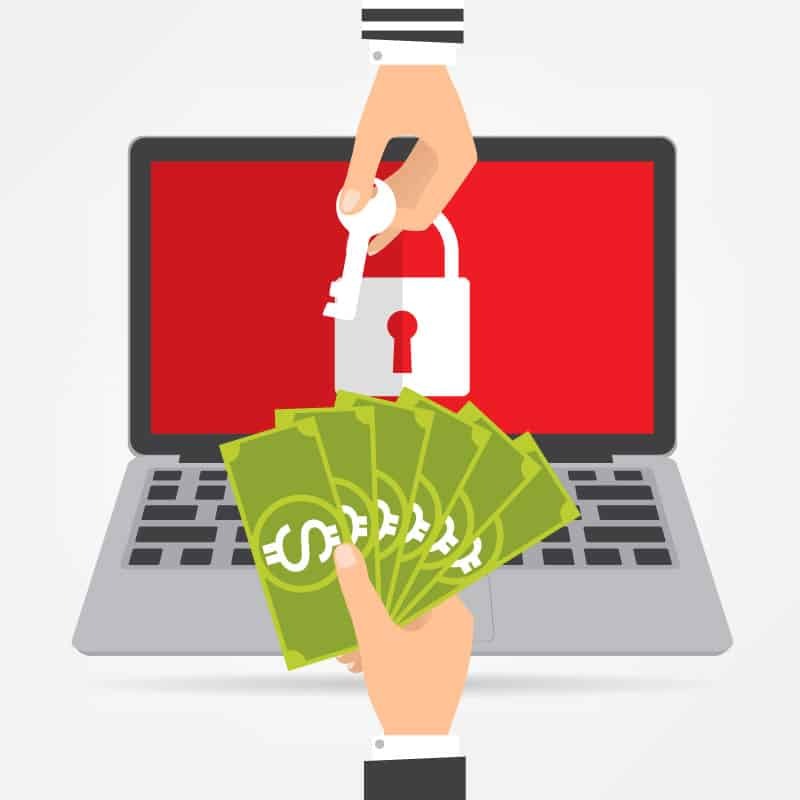 Businesses must take ransomware protection seriously with cyber security. In St. Louis cyber criminals attack companies big and small. The skill and experience of your IT partner affects the outcome of your ransomware recovery process. This story could have had a different ending if the company chose a less experienced IT firm. Should your company be in a bind, choose a partner with a proven track record. Anderson Technologies is a St. Louis cyber security company that specializes in ransomware protection and recovery. For more information on our services, email info@andersontech.com or call 314.394.3001 today. *To protect this business’s privacy, we have omitted its name and any identifying details. Everything you know about creating passwords is about to change. In other words, it’s hard to remember “1S6u5^Q%,” so most users go with something simple like “cakeboss.” Previous guidelines indicated complexity would make passwords more secure, but when restrictions require a capital letter, number, and special character, users are more likely to adapt an easy password to match, turning “cakeboss” into “Cakeb0ss!” Furthermore, when required to change passwords every 90 days, users often make small changes (i.e., “Cakeb0ss!1”) rather than creating entirely new passwords. These minimal alterations are predictable and increase the risk of a security breach significantly. Thanks to the NIST, the new guidelines focus on usability as a factor of password security. If someone can’t remember a password or must write it down because it is constantly changing, then it’s not secure. Because using numbers and special characters is so predictable, complexity is not as important as length and memorability. The guidelines still indicate a minimum password length of 8 characters but propose allowing up to 64 so users can create strong password phrases. The NIST considers length a “primary factor in characterizing password strength.” A strong password is a combination of four or five words that the user can recall but cannot easily be guessed by a hacker or malicious software (i.e., “Milky Orange Clock Wolf”). Note that many sites currently do not allow spaces between words so you may need to remove them, but this will change as people adopt these new standards. The NIST also puts more of the onus on the service rather than the user. They suggest that passwords be compared to “blacklists” of known compromised passwords before acceptance. Accounts should also limit the number of times a user can enter a wrong password before locking access for some length of time. This way users can create simpler passwords while service providers increase password security. So, let go of notepads full of passwords too strange to be remembered. For sites that quickly adopt the NIST’s new guidelines, create strong password phrases only you’ll recall. Otherwise, we’ll have to wait for the rest of internet to catch up. 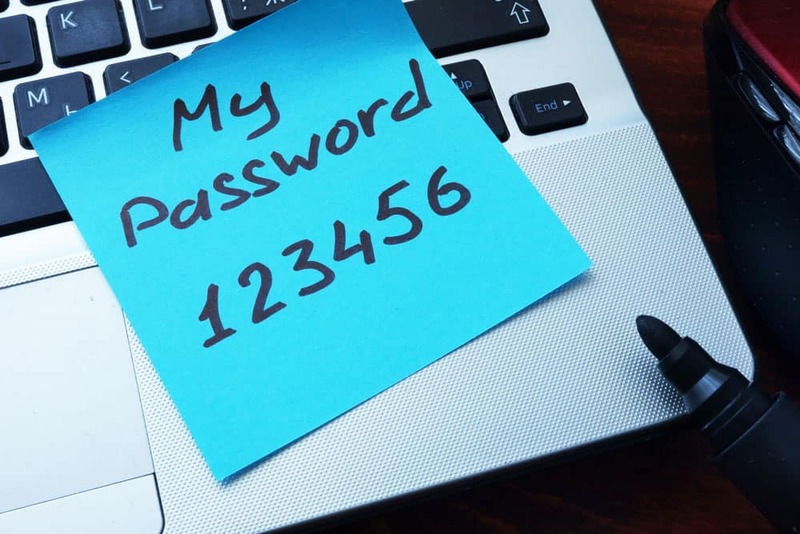 Until then, password managers such as LastPass or Dashlane can keep track of those complex passwords far more securely than writing them down. If you would like help ensuring your systems are protected and your passwords secure, please give Anderson Technologies’ cyber security experts a call at 314.394.3001 or email info@andersontech.com. Have you ever accidentally deleted a file and wondered how to get it back? Now imagine your business lost all its data. This happens more commonly than you may think. Data loss is a real and growing threat to your business. 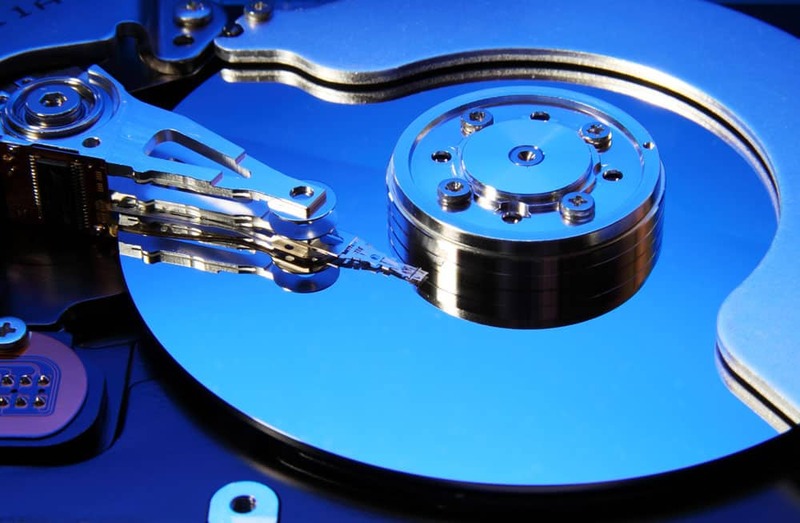 Here is what you need to know about data recovery in St. Louis and beyond. The data recovery services industry specializes in retrieving and restoring data that has been lost or damaged. The culprit can be a natural disaster, like a flood or fire, or it can be a cyber attack, a power outage, a technical malfunction, or even human error. Restoring lost or damaged assets becomes simpler when a business has a plan in place for backing up critical information. Data recovery experts can work from wherever the backup data is stored—an external hard drive or cloud-based solution, for example—to retrieve the missing data. It’s easy to think, “It won’t happen to me,” but data loss happens all the time. In the U.S., 140,000 hard drives fail each week, yet 58 percent of small and mid-sized businesses are not prepared for data loss, according to this recent infographic by Clutch, created in honor of World Backup Day. Cyber crime—in particular, ransomware—is on the rise in St. Louis and beyond. These attacks compromise company data, and they can be catastrophic; 60 percent of small companies victimized by a major cyber attack go out of business within six months, according to the National Cyber Security Alliance. To improve their chances of successful data recovery, St. Louis businesses must take preventative measures that include a comprehensive approach to backing up data. Should your business have trouble retrieving an important file or data source, consider these three steps. Losing a file can be harrowing, but take a minute to catch your breath and think clearly. When you delete a folder on your computer, it hasn’t necessarily been wiped from your operating system. Unless the system has written new data to the same area on the disk, your information is likely still on the machine. Often, data can be retrieved if you connect with the right experts quickly. Of course, accidentally deleting a file or two is quite a different scenario than losing an entire hard drive or being victimized by a cyber criminal, but regardless of the breadth of your data loss, try not to let emotion override good decision-making. If you have in-house IT experts or an outsourced managed IT services provider, give them a call. If not, you can do some troubleshooting yourself. But depending on the scope of the data loss, you may need to find a reliable data recovery services company. Some data recovery firms request that you mail in your failed hardware and then charge you based on how much data they recover. You could be left footing a hefty bill if they are even able to retrieve the data. There are no guarantees. An expert who can visit your office is probably a better bet. Although it’s important to act quickly when it comes to critical data recovery, make sure to research your options carefully. (This is one of the many reasons why it is better to have a data recovery plan in place before you lose something.) Try reaching out to colleagues for vendor recommendations. Data recovery takes skill, and who you partner with could determine the outcome of your predicament. Data loss costs companies $1.7 trillion a year. Mitigate losses by taking precautions. Use a dual-destination backup approach in which you back up data onsite (to an external hard drive, for example) as well as remotely via a cloud backup provider. Regularly test your backup recovery strategies to ensure you can quickly and effectively restore data. Using cloud-based software can help you mitigate data loss in the first place. For example, solutions like Dropbox, Google Drive, and Microsoft OneDrive offer file version control so you can easily retrieve earlier iterations of files if you mistakenly overwrite something. Most business owners don’t realize the importance of data recovery services until they need them. Anderson Technologies specializes in data recovery for St. Louis businesses. It uses sophisticated backup and data recovery tools to support its managed services clients as well as to help new customers in need. Its data recovery experts have been able to successfully retrieve data that other vendors could not. For more information, email info@andersontech.com or call 314.394.3001 today.